Britain's royal family has expressed its appreciation to well-wishers after Saturday's wedding of Prince Harry to U.S. actress Meghan Markle. "Thank you to everyone who came to Windsor and those who followed from around the UK, the Commonwealth, and the world today. Congratulations once again to the newly-married duke and duchess of Sussex," the family's Twitter account said. 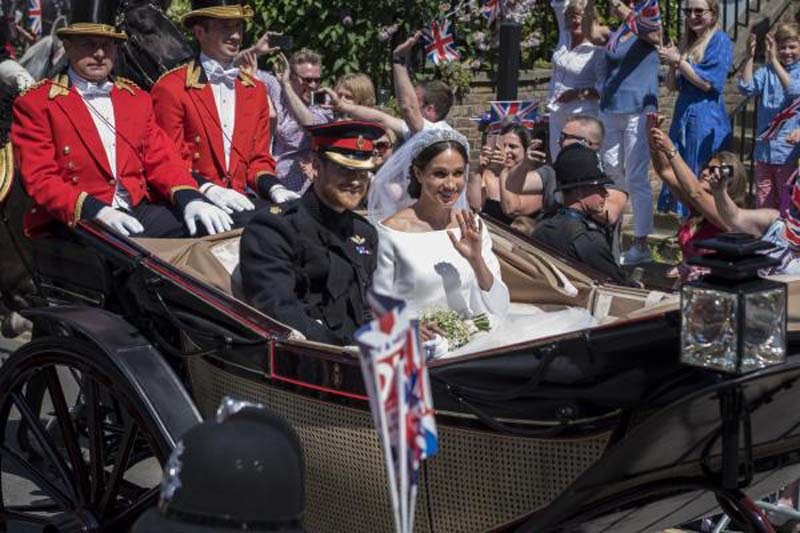 Along with the message were four photos showing the thousands of people who lined the streets in hopes of catching a glimpse of the happy couple, who exchanged marriage vows at St. George's Chapel at Windsor Castle after more than a year of dating.